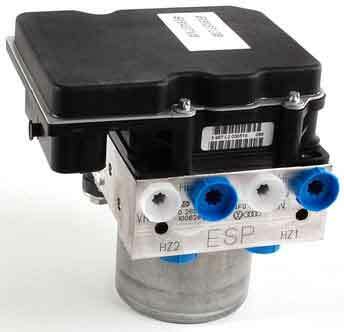 The Bosch 8.0 ABS / ESP Modulator unit is much more complex than the earlier Bosch 5.3 and Bosch 5.7 ABS ECU’s. We have been successfully repairing these units for just over 5 years now and are able to fully test, repair and rebuild these units with a lifetime warranty. If your Bosch 8.0 ABS / ESP module has failed, we’re able to fully test and rebuild the unit using new genuine OEM components to ensure that each and every repaired and rebuilt ABS pump meets & exceeds OE specifications. 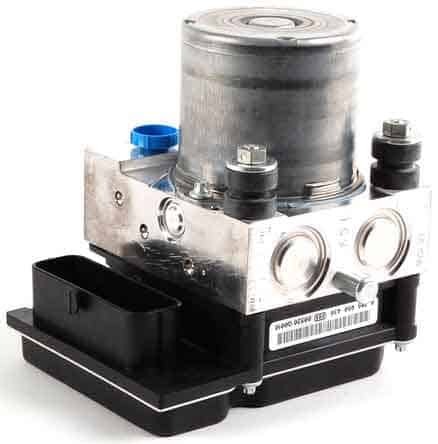 All of our remanufactured ABS pumps come with a Lifetime warranty and will not require coding back to the vehicle. Below is a list of common part numbers we’ve found associated with this type of ABS module. If you have any queries, you can call us on 0844 847 9999 and we’d be happy to assist you. Tags : Bosch 8.0 ABS / ESP Module Problems, Bosch 8.0 ABS Pump Faults, Bosch 8.0 ESP Pump Error. I have a peugeo 407 2ltr diesel, when i bought this car it had brake pedal creep under Pressure when running but a solid pedal with th engine turned off, i have check over the braking sys and can find no faults, i tried bleeding the brakes with Different methods but nothing works, i suspec the abs modul might have been changed before i Bought this car, can you help in any way. We can certainly help – I have sent you an email with information and pricing around our diagnostic services to investigate and rectify the fault you are experiencing. Hi – I have an 05 Audi A6 2.7 TDI Quattro with the usual selection of ABS lights and errors + code 01420 – could you advise on repair cost for the ABS module 4F0910517L . I’m Bulgaria based. Nissan Micra 1.6cc 2007 has esp abs and handbrake light on also brake pedal feels spongy thankyou. my ABS module number is 4F0 910 517 L.
Could you send me details on a fix for this please. 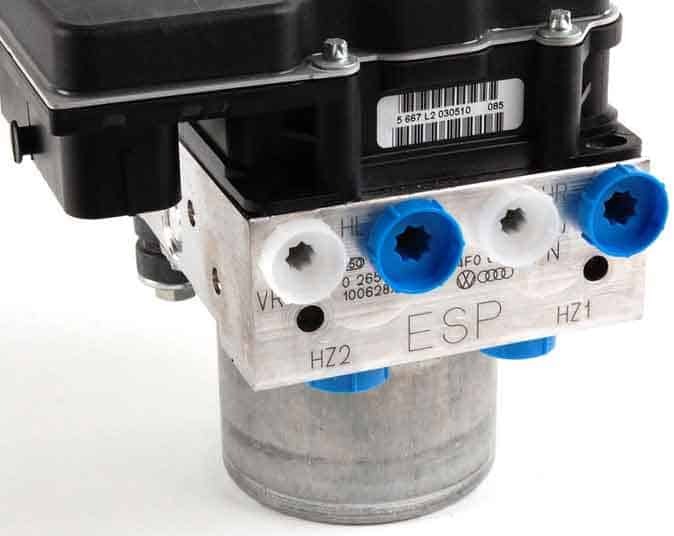 The Brake Pressure Sensor (G201) is external on this unit, however, the fault that you have described is very common and one that we are aware of. The common cause for this fault is a failure within the ABS module and we have a great success rate in repairing this type of unit.